If using social media bores you out, then you’re probably on the wrong side of the road. Flip the blankets and proceed to the apps that keep your brain running. Social media has a lot of in store for people who wish to find productivity. There’s nothing as too boring or too monotonous when you have the right app on your phone. Or, when you know how to use and maximize the advantages found in each app. Stop dilly-dallying and head to where the best of your resources are utilized. Here are tips that will help you stay productive on social media. Having no television or not being able to receive the daily newspapers is not an excuse to being updated with what’s happening all over the world. With the presence of several social media apps, the spread of news, not to mention fake ones, has spread like wildfire. Nowadays, people no longer rely on what’s presented to them on their television screens, but have begun their own social awareness through the help of many apps. One can reach and share news that are outside their country to as many people as possible. Social media has opened a lot of eyes and ears, and will continue to do so – reminding people to pay close attention than ever before. All social media apps are designed for connectivity. It’s no secret how technology has made communication a lot easier and faster. Gone are the days when you still ll have to wait for your letter to reach across the next country. Now, you can reunite and keep up with each other’s life with just one call or message. Keeping in touch with your loved ones is possible through the emergence of apps that connects people across the globe. It’s crazy how the advent of social media has eased people’s access of information. Not to mention the convenience of Google and other informative apps. No longer do people need to carry around a dictionary or search through long drawers of books to answer a question that pops in their mind. The convenience of social media enables people, especially students to learn in advance and be aware of the things which are not taught in school. Travelling is way easier when you have several sources to look into. And thankfully, social media is a genie to all wanderer’s wishes. Blogs and pages showing the most beautiful and remote places in the world has since enabled people to decide and plan through their travel itineraries. How to track the busy streets of India, where to stay at a snowy night in Switzerland, what to eat in a cozy restaurant of Africa – all these questions that have seemed so difficult before can now be accessed through the inconceivable power of social media. There’s more to just having a good time in social media, you need also to make something out of the advantages that technology presents before you. While it’s also enjoyable to play games and watch videos, participating in an organization that promotes social good is also rewarding. If your interests falls on protecting Mother nature, rescuing animals, helping people with disabilities or against all forms of abuse and violation, you can channel it through several different apps. You can be an advocate to as many things as you want as long as you have the commitment to do so. These organizations will keep your heart alive and will restore your faith in humanity. Curiosity doesn’t end once the school bell rings. As social media is not just about chatting and catching up with your friends, it also is a good platform to share things that you have read from an article, blogs about other culture, historical and educational information, global and technological news and all that the human mind is capable of learning. It’s also a place where you can discover your own interests and other people’s passion. Sure enough, it’s a depot of information where you get to have your mind fed and occupied. Falling on the dark side of social media makes it hard for people to appreciate the productivity it also gives. A lot of people are becoming victims or puppets of what society tells them to do so. Follow this, do this trend, have this skin tone and all that which robs the person of his or her self-expression. But social media is also filled with bountiful things where you can give and receive inspiration. By following the right people who inspire you to be the best version of yourself instead of the other way around, you can spend your time productively and pay it forward to others. 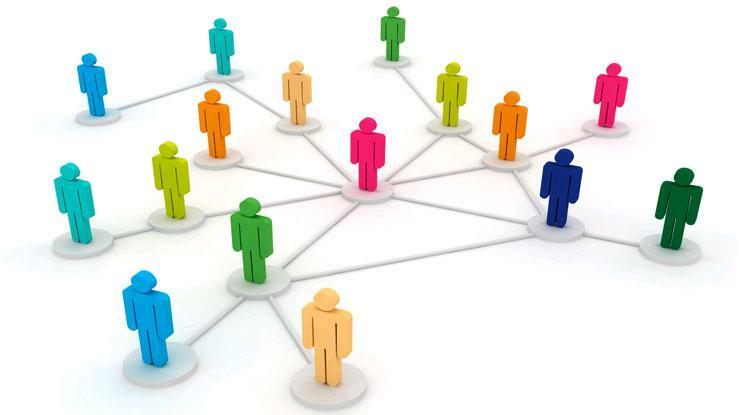 One way to be productive is to reach to more people that will help you stretch your network. May it be for an organization or a page you plan on joining, the wide scope of connectivity you can find in social media is a great tool in achieving your endeavors. It also plays a big role in the success of your businesses, networking, or your career as plenty of apps are there to back you up. With the likes of Facebook and Instagram, you can enlarge your network as convenient and as efficient as possible. Social media has been a great medium for expressing what people like through a wide selection of apps that are designed to cater each of his or her needs. Do you deluge in the soothing caresses of paintbrushes? Are you an aspiring artist who wants to share your music? Or does the calming power of words and books thrives in your veins? Access to apps that suits your passion enables you to further enhance your skills at the same time teaches you to be your own teacher. In this way, you can expand your learning and go beyond what’s taught in the four walls of a classroom.